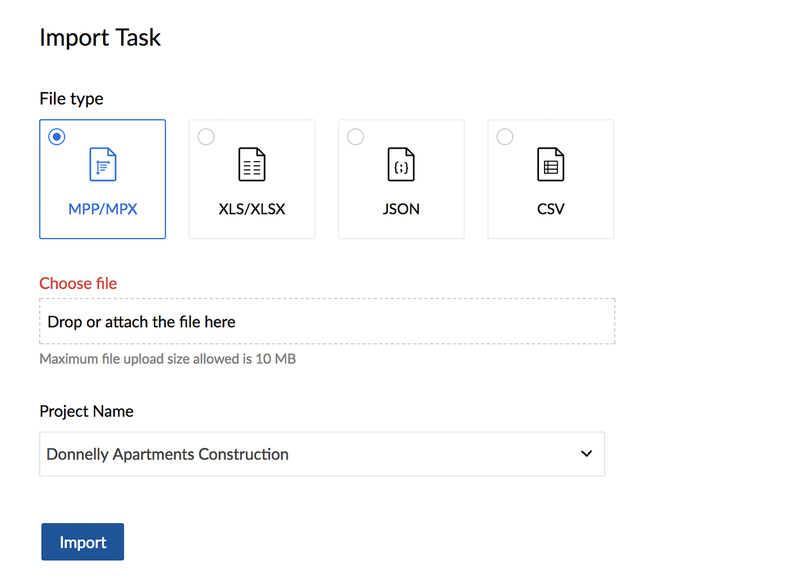 Learn how to import Microsoft Projects files (MPP / MPX) into your Zoho Projects portal. You can plan your project in Microsoft, import them and start collaborating in Zoho Projects. This feature is not available for Zoho CRM Plus and Zoho One users. Click in the top navigation bar. Navigate to the DATA ADMINISTRATION section and click Import. Click the MPP AND OTHER FILE IMPORT section. Drop or attach an .MPP file from your local computer and choose a Project Name to import. By default, the MPP/MPX option will be selected. If you wish to import other files, you can change the File Type accordingly. If the imported file contains custom fields then map them with the layout task custom fields (if any) and click Continue. 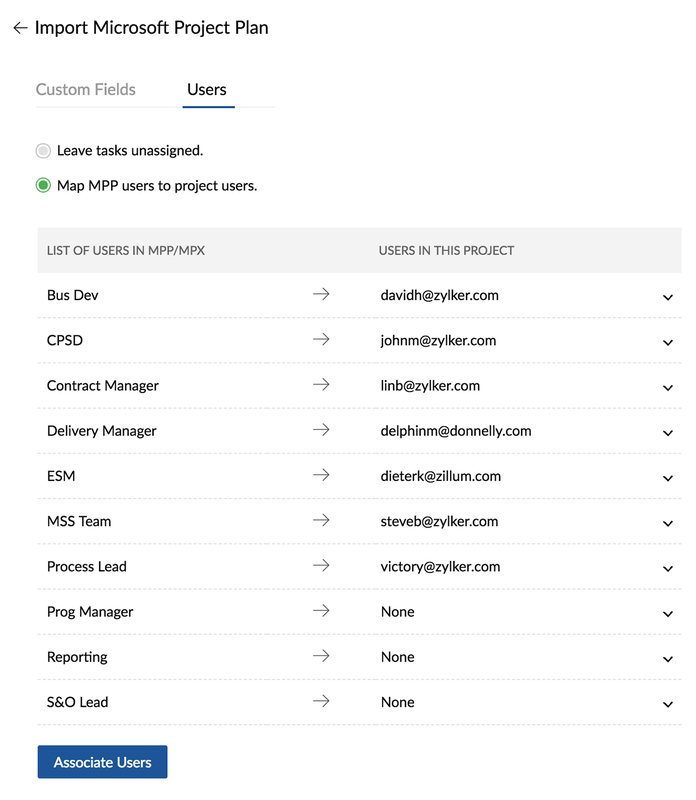 When you import a Microsoft Project Plan, you can choose to leave the imported tasks unassigned or associate the MPP users to Projects users. Once the users are associated, click Associate users. Click Continue to import the tasks into Zoho Projects. We support the MS Project versions: 2003 - 2016 (up to date).